Appearance: the leaf has some variation of color due to the presence of some light green leaf. The leaf is very large, long, and flatter than other of Saito’s teas. However, we decided to see if we could come up with two different measurements of tea – one for those who like their Japanese green tea lighter and another for those who prefer a deeper, more full-flavored dimension of flavor. The leaf manufactured by several of our dedicated Shizuoka farmers is very large, long, and more flat than many Japanese Senchas. This larger-leaf size is one of the features that we appreciated immediately regarding the teas that we source from this wonderful group of farmers that we work with in Shizuoka: that in general their teas are, shall we say, more whole leaf, than most Japanese Sencha teas. This is a bit revolutionary, as traditionally sencha is manufactured to a finer profile and steeps very quickly. We strongly recommend experimenting with the ‘time-in-the-water’ factor when steeping the larger-leaf Japanese teas, as every ten seconds added or subtracted from your ‘normal’ base time will change the ultimate taste of the steeped tea. We find that this larger size leaf offers us more flexibility regarding steep time and overall strength of the steeped beverage. If you prefer a milder beverage you can steep short with slightly cooler water and if you prefer it stronger you can use water that is hotter and also steep a bit long. For those of you who prefer the more traditional, finer leaf profile for your Sencha, we do have several choices in that style as well (and in-between size too). The images contained in each listing are accurate in this regard and you can judge size and color by them. This ultra-premium tea is produced by our dear friend and incredibly gifted tea maker Mr. Saito. His tea gardens are in Honyama, which many believe to be the area that produces the finest senchas in Shizuoka Prefecture. Saito’s tea fields are located in the mountains near the Warashina River. The environment of these tea fields is pristine and filled with natural beauty, healthy plants, birds, insects and all the good components of a thriving tea garden. This Sencha is crafted from a blend of the leaf of several tea bush cultivars developed by Saito over the course of many years – and much experimenting. He never stops perfecting his tea until he is happy with the results, and we admire that quality in him. We designed the 2018 version of Saito’s Passion to be similar to what we made in the years 2015 – 2017, although we think this 2018 version is the our best collaborative effort yet. Saito’s Passion is a very delicious treat. It is sweet and round in the mouth, with a buttery, prominent, full, savory, vegetal flavor. The aroma is fresh, crisp, and seductive – and the balance of taste, flavor and aroma is in good harmony. What have we left out of this description? The leaf has considerable variation of color due to the particular varietals that we are using in the blend. The leaf is very large, long, and more flat than most of Saito’s other teas, and certainly is of a larger profile than many Japanese Senchas. This larger-leaf size is one of the features that we appreciated immediately regarding the teas that we source from this dedicated group of farmers that we work with in Shizuoka: that in general their teas are, shall we say, more whole leaf, than most Japanese Sencha teas. This is a bit revolutionary, as traditionally sencha is manufactured to a finer profile and steeps very quickly. We strongly recommend experimenting with the ‘time-in-the-water‘ when steeping these larger-leaf Japanese teas, as every ten seconds added or subtracted from your ‘normal’ base time will change the ultimate taste of the steeped tea. We find that this larger size leaf offers us more flexibility regarding steep time and overall strength of the steeped beverage. If you prefer a milder beverage you can steep short with slightly cooler water and if you prefer it stronger you can use water that is hotter and also steep a bit long. For those of you who prefer the more traditional, finer leaf profile for your Sencha, we do have several choices in that style as well (and in-between size too). The images contained in each listing are accurate in this regard and you can judge size and color by them. In the cup this Sencha has generous mouth feel -what is known as ‘umami‘ in Japanese, which is the result of the teas in the blend having an above average abundance of rich amino acids. 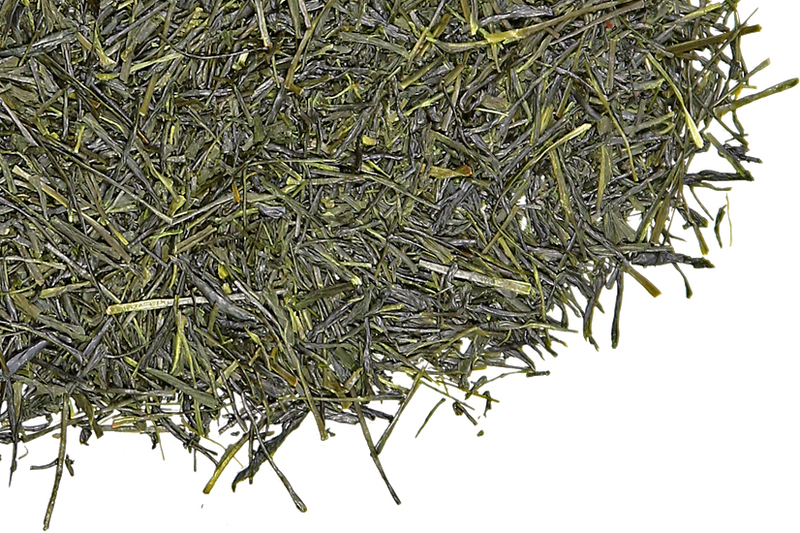 Overall, it is a Japanese Sencha with a prominent, well-structured flavor and enticing aroma. Fans of Mr. Saito may recall that he suffered the loss of most of his tea in the spring of 2015 when he had a fire in his warehouse. We received a small first order that year and then nothing else until the following year (2017). 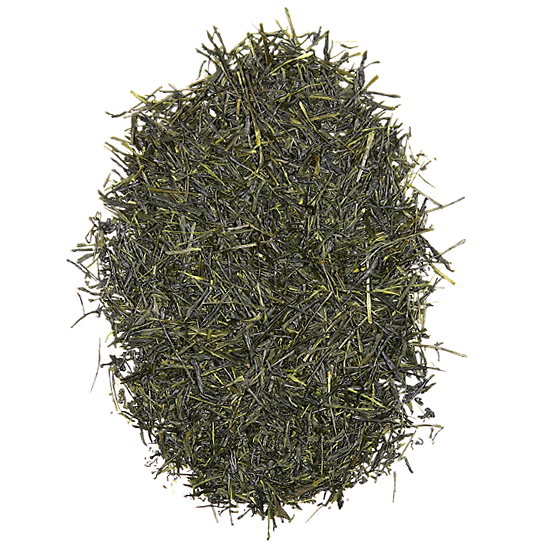 Sencha Saito ‘Passion’ is our #1 Sencha choice for someone looking to experience a big flavor Sencha. Before we sold out of it and found out that the rest of his tea was lost in the fire, this was our most popular Sencha in 2015. We are pleased to report that his garden has suffered no long term damage from the warehouse and living quarters fire of two years ago, and he is back to full production as of the middle of last year’s (2017) season. Saito’s tea gardens are thriving, and his tea is as tasty as, or in most cases even better than when Mary Lou first met him in the autumn of 2012.